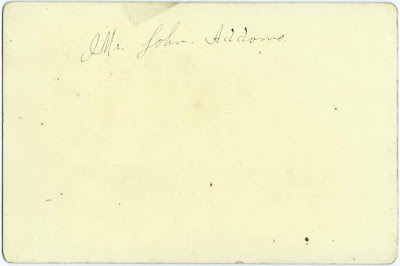 Cabinet photograph of a man identified on the reverse as Mr. John Addams. Sadly, there's no studio imprint to give a clue as to locale. The photograph was found with other photographs, most of which were of New England residents. It's possible that this John Addams also lived in New England. He may have been John Quincy Addams, born March 10, 1835 at Corinna, Maine, son of Simeon and Caroline Addams. 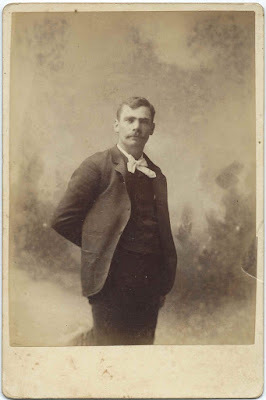 Or the John Quincy Addams born November 27, 1837 at Wilton, Maine, son of Asa Mitchell Adams and Fanny W. (Pinter) Addams. Or perhaps he was John Weber Addams, brother of social activist Jane Addams. 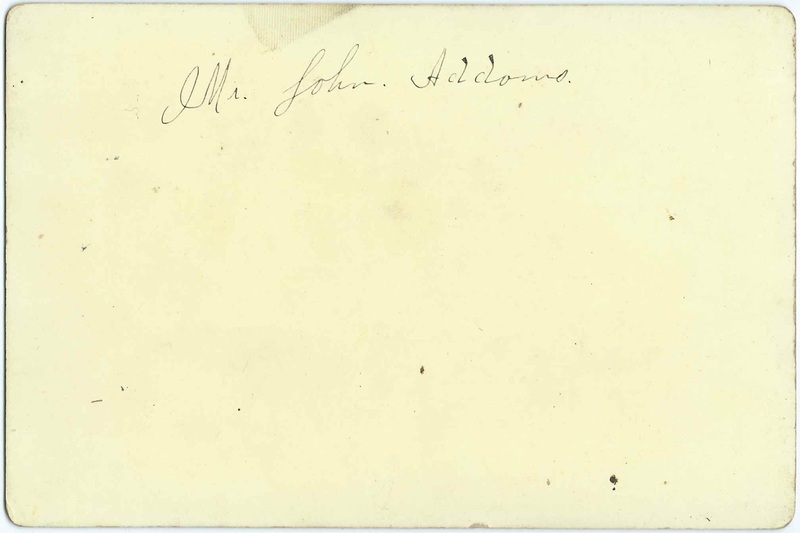 That John was born February 19, 1852 at Cedarville, Illinois. If you recognize the John Addams in the photograph from your family research, please leave a comment or contact me directly.